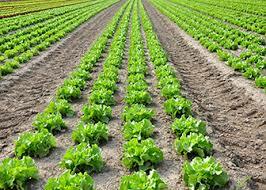 Agricultural engineering deals with the science and technology of producing food grains. This discipline applies engineering science and technology to agricultural production and processing. It also combines the disciplines of plant biology,animal biology and mechanical, electrical,civil, and chemical engineering principles,along with the knowledge of agriculture principles. Basic areas and activities that constitute the discipline are design of agricultural machinery, agricultural resource management, equipment and agricultural structures, surveying and land profiling, soil management and conservation including erosion and erosion control, climatology and atmospheric science, seeding, livestock production, tillage, harvesting and processing of crops and waste management to name a few. Here in India, agricultural engineeringdepartment was initiated by IIT (Indian Institute of Technology) -Kharagpur in the year 1952, based on the recommendation of the Dhar Committee. After completing a B.Tech or BE you, can opt for M.Tech or MS in various specializations such as dairy and Food Engineering,Farm Machinery & Soil and Water Conservation, Applied Botany, and Post-Harvest Engineering. An agricultural engineerperforms tasks such as planning, drainage, supervising and managing irrigation, water control systems, agricultural product processing, and perform environmental impact assessments. They can also work in food processing, packaging, food machinery, ingredient manufacturing, processing technology, pharmaceutical companies, and healthcare firms.